What’s your accounting New Year’s resolutions? 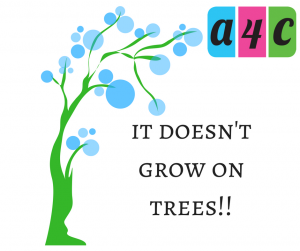 Each year at a4c we help clients with their accounts and tax returns, but our greatest satisfaction comes from seeing people develop and grow their businesses. Over time we’ve learned that the most successful (and often the richest!) clients have a few things in common, they set themselves targets, plan their tasks and understand the rules. Sit down and look at the year ahead, work out what you want to achieve (more money / free time / business growth etc) and then plan a 12 month strategy to help you achieve this. Do you have unnecessary costs, could you improve profits or increase the amount you take home each month by cutting non essential expenditure? In your personal life could switching utility suppliers save money? Remember that budgeting might enable you to have more disposable income each month or to save for that special occasion, however it might also be necessary for those people who now find themselves with a personal tax bill, as a result of the dividend tax changes. Whatever your reason keep your budget simple and review it frequently to ensure you stay on track. Put systems in place now that will help you to manage your business during the year. For example, buy 12 envelopes or folders and label them January to December, then each month simply file your expense receipts away for safe keeping. Purchase a 2018 diary and use it to record business mileage, that can be reclaimed in your accounts. Set up a standing order to move money to a savings account or into a pension, you’ll be glad you did when the tax bill needs paying or when you can comfortably retire!